Is My Child Ready to Go to Overnight Camp? Think back to a moment in your childhood when you learned something significant… Ok, got it? Now, think about this – were your parents around when it happened? If you answered “No” you are in the super majority, as so much of what we learn in life comes when our parents, or significant caregivers, are not around. Parents, as they should, ease the path for us. They explain things, make it easier, even do things for us. But as growing individuals, kids also need to experience life on their own, to be able to make mistakes, to rely on new sources of support and become aware of their own power. Time at camp is a unique opportunity for campers to step out of their usual routines and paradigm and reframe who they are in a new context. At camp, kids take their cues from peers and non-parental adult role models to learn vital lessons of increased self-sufficiency, responsibility, and an appreciation for others. They acquire key building blocks and skill sets that they may never find in the familiar environments of home and school. Social and emotional growth is the focus of Camp Alsing. We offer an intentionally designed program of social communication skills and supports, woven through rich days of fun camp activities, to provide campers stepping stones toward greater awareness of their surroundings and of themselves. We work to increase their ability to scan the environment, take in social information, and consider how their actions will impact others. At camp, before setting off for our canoe outing to the nearby island we take a moment, put on our future glasses, picture what it will be like there, make a plan for what we will need, and consider the many possibilities for how things might change. 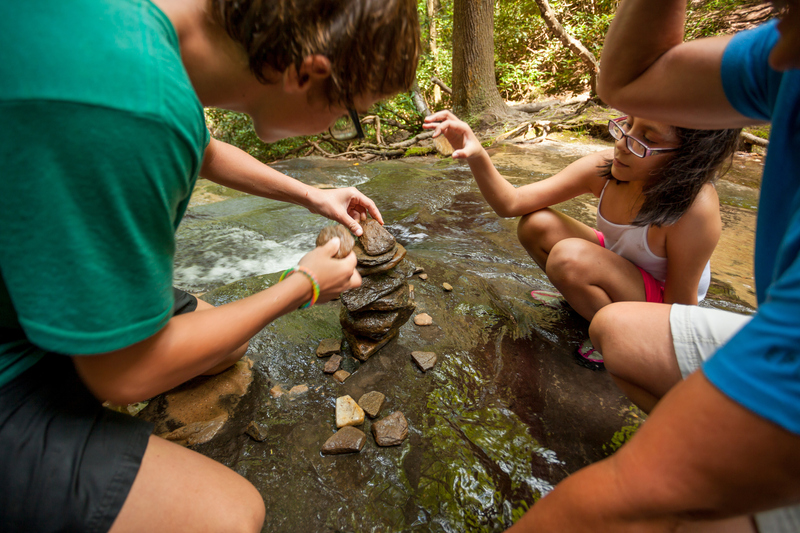 In this way we help campers build awareness, flexibility and self-reliance. It is hard to imagine how much your child can grow and the positive impacts that time at Camp Alsing can have on them. However, once your child returns from their Camp Alsing experience, as the stories and new abilities emerge throughout the year, it will be easy to see why time spent at Camp Alsing is both positive and fundamental, providing an important place where children can thrive. Everyone should have a place where they can grow away from their usual routines and be their best selves. A place where learning, friendship and support is at a premium. For many campers, Camp Alsing will be that special place, and where they will look forward to returning each summer.